But first as mentioned in the title. 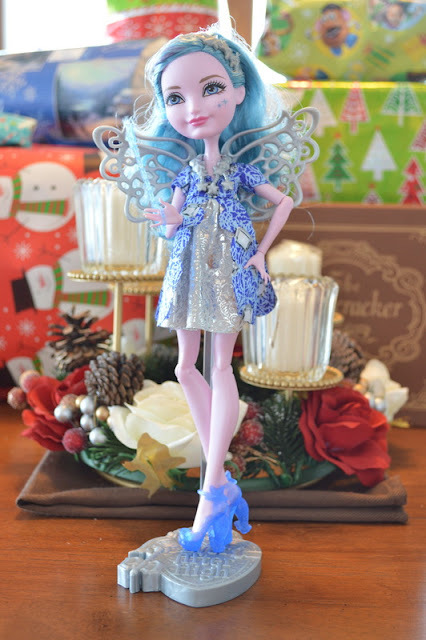 One of my readers has an outfit ID I was hoping you all could help with! This photo is from Lynn. Funny thing because I have the same outfit but no idea where it's from. I don't have the cool hat though. Since I am atrocious at ID's, can anyone help with where this outfit is from or from what year? Onto the new addition! Keeping with the Ever After High line, here is Farrah Goodfairy! All in all, I like Farrah but she's definitely not my favorite. Skin is a little too pink, it's even more pink than the photograph will show. And there is something about her hair. I'm gonna have to fix that. 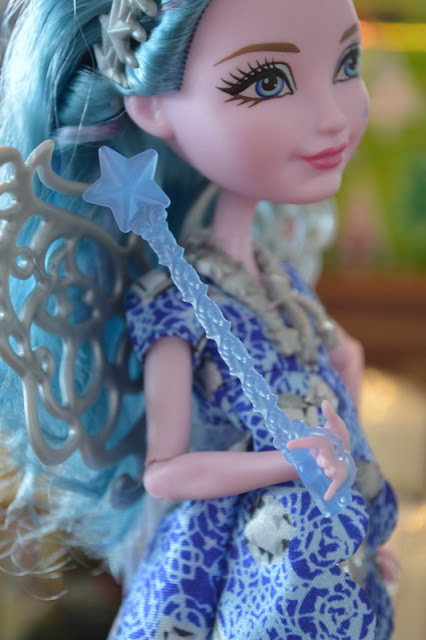 But I do love the little stars around her eye. However they could have done a little more with her makeup. She's the daughter of the Fairy Godmother. Shouldn't that be like, sparkle and shine and glitter and all that good stuff? Her outfit is cute, a babydoll dress with a kind of cape overlay. The silver fabric is stiff so it doesn't quite lay right. Have to try to fix that too. I like her star necklace though! 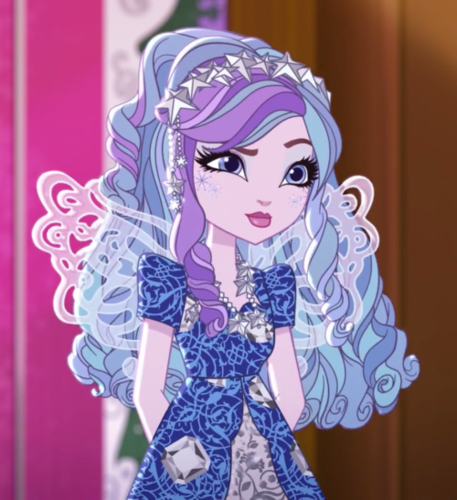 Her dress isn't exactly like the webisode version. 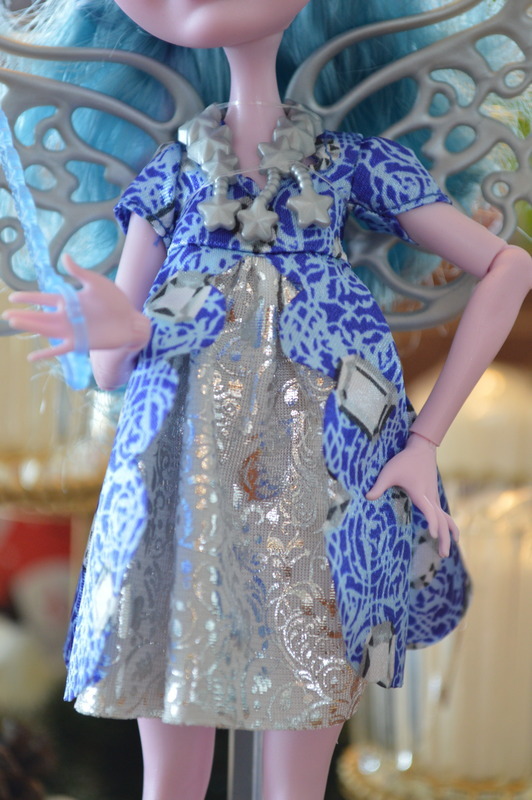 The doll has an empire waist dress where the webisode Farrah has the dress fitted around the waist. I'm not sure I can fix that though. And more floof in the hair. I'll have to see if I can make a quick fix like I did on Darling. Farrah doesn't carry a purse but a magic wand! 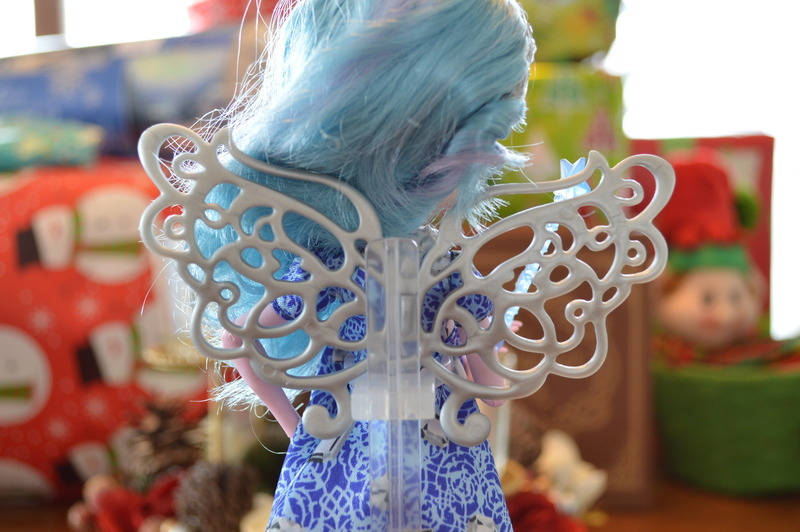 Perfect for the daughter of the Fairy Godmother. 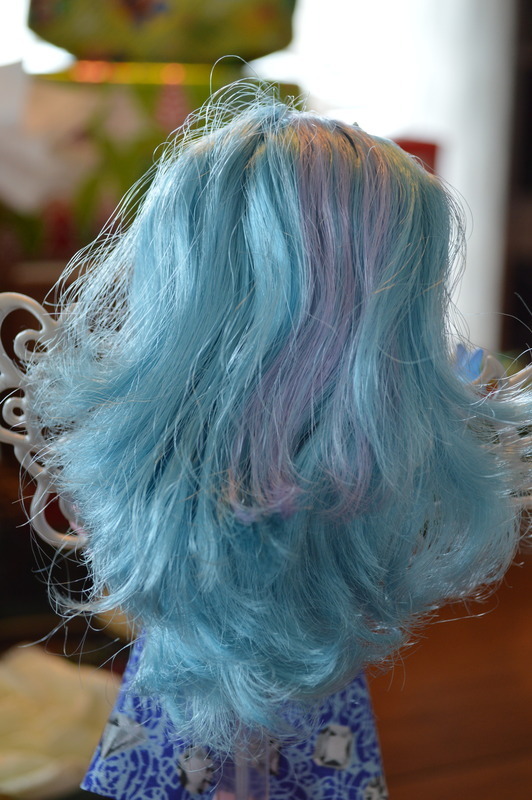 Going to have to put more curl in her hair but I do love the purple mixed in with the blue. lovelovelove. 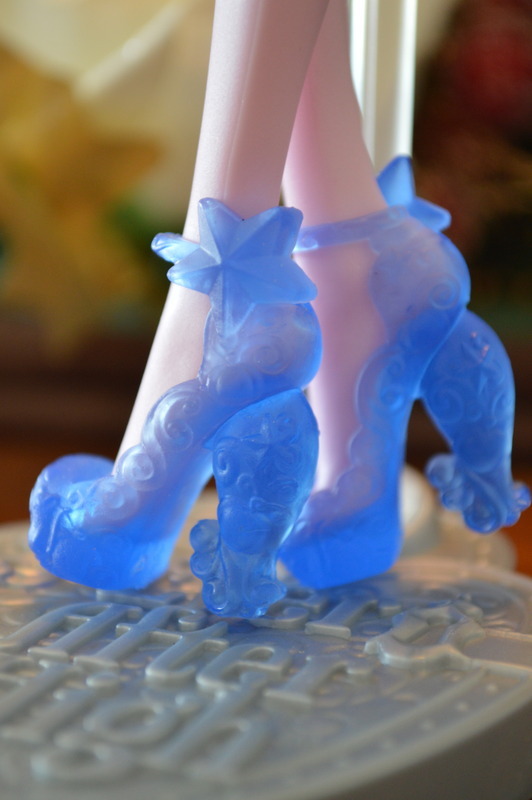 They are an icy blue like her wand and feature a star at the ankle strap and a swirl design on the heel. 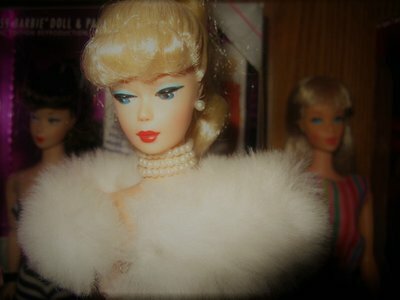 All in all, Farrah's a cute doll but certainly not my favorite as I mentioned above. But tell me, will she make it into your collection? Let me know in the comments! Is the mystery outfit tagged Mattel? Or did it possibly come from a Tammy or similar doll, I wonder? That might explain why the hat looks so big. I have Farrah too. I love her, and I want to work with her hair as well. But I'm afraid I'll make a mess of it! I've seen some work people have done to her dress and her shoes, but I haven't seen any tutorials on fixing her hair. I also want to find a new name for her. 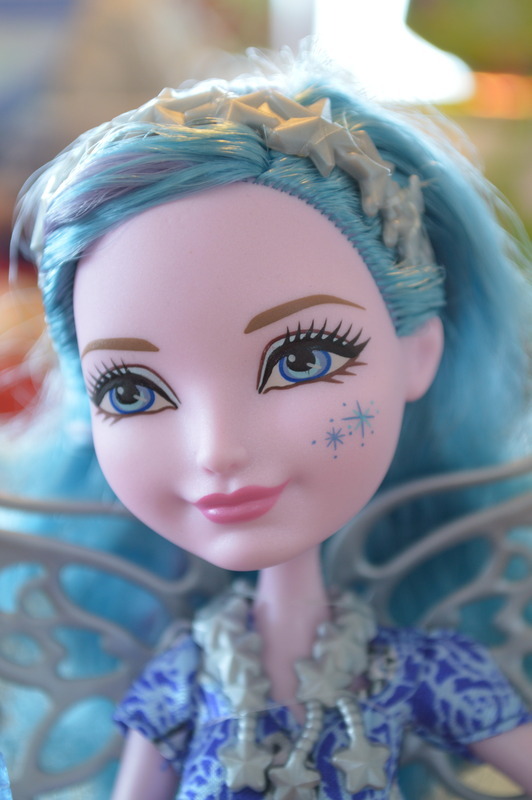 Farrah Goodfairy just sounds like lazy naming to me. 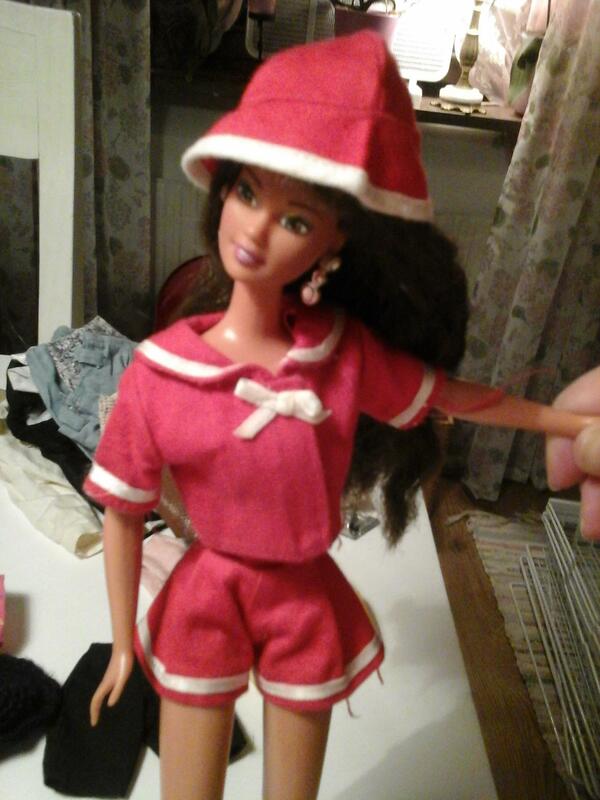 Hi Teresa, I can confirm it is a Mattel outfit, it came in one of those multi fashion packs. I bought it around 1988/89. The hat was not included in my fashion pack though. Farrah would make it into my collection, if I ever see her in stores. Will the mystery of doll distributions ever be solved?